A moist banana bread with shredded coconut for extra texture and flavor. If you're like me, you've got a decent list of various banana breads you cycle through. Maybe a Double Banana Bread this time, and a Banana Walnut Bread next time. I often find myself making various banana breads for breakfast. They're cheap and easy. Plus, we usually have bananas around. Well, this time, I wanted to switch things up a bit. With the beginnings of this cooler weather, I wanted something just a bit tropical. Looking around, I had some coconut and not much else. But coconut's tropical enough for now, so it works for me! We both liked a Banana Bread with more than just banana flavor. The shredded coconut added not only a nice flavor, it also gave the Coconut Banana Bread an extra bit of texture. I also threw some oatmeal on top, and you can do the same. Or better yet - use some of your shredded coconut! 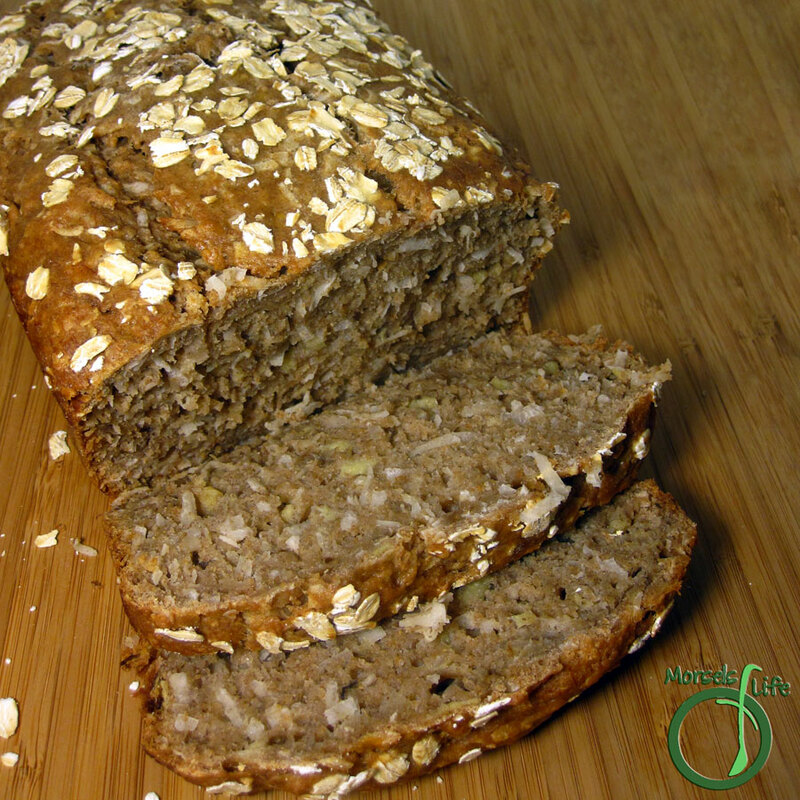 What do you like adding to your standard Banana Bread recipe? 2.5 cups flour I used half whole wheat and half white. Form Wet Team by mixing eggs, bananas, milk, sugar, and vanilla. Form Dry Team by mixing flour, baking powder, coconut, and cinnamon. Combine Wet Team and Dry Team, and pour into a greased loaf pan. Bake at 350F until golden brown and delicious, approximately 50 minutes.